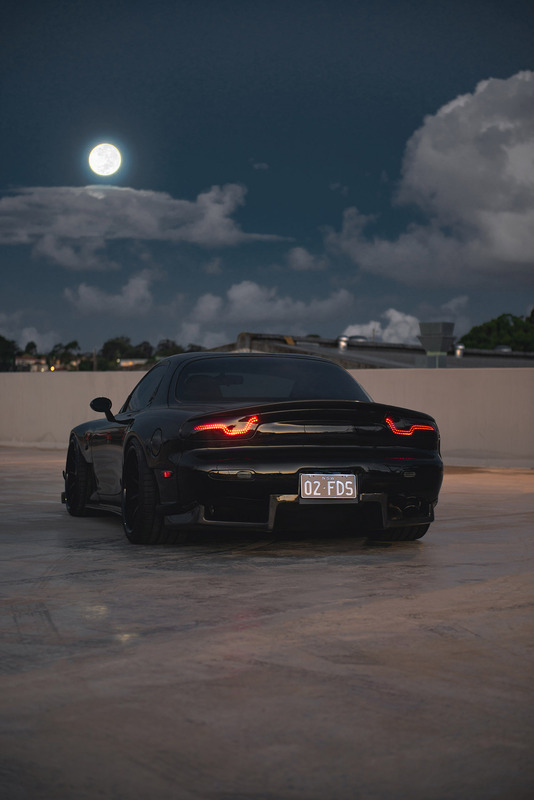 I just finished building the website for my friends at FD3S Nation who made the prototype tail lights I've been testing - the Katana V1 LED tails. Check it out! Definitely looks way cooler on desktop though. They're finally ready to be ordered so you can now do so through the website! Any enquiries should be directed to them! Cool looking design. Very, very dim though and doubt they come close to the level of brightness needed for taillights. They're as bright as my last set of CarShop GLOW LED Tails. You can also opt to not have the housings tinted if you're concerned and want increased brightness! The Carshop Glow lights are way dimmer than the stock units. That’s too bad as the design is pretty cool. Just the limitations of the technology I guess. NB that I am not braking in any of the images, that is simply the driving brightness. It’s a limitation of the type of leds being used. Those are pretty old school stuff. LED conversions can be and are much brighter than stock. Ask me how I know. Not here to rain on your parade. Just stating that brake lights serve a primary purpose of letting the cars behind you know you are stopping. Design aside, these will surely fail you on the safety side. They do look great, however I'm with David on this as tail lights need to be highly visible. You've done all the work already so it shouldn't be too difficult to source higher output LED's. So, based on the current design use of 5mm LEDs that have an output of 1 lumen per light, you'd need for each taillight unit 110 5mm LEDs for the parking lights, 148 for the parking and turn signals, and 1,485 for the brake lights. If I count the LEDs correctly in the OP design, you get approximately 66 LEDs for the parking lights and then, about 26 LEDs for the turn signals. So, I'd estimate the current design to produce about 60% of the light needed for the parking lights and less than 20% of that needed for the turn signals. 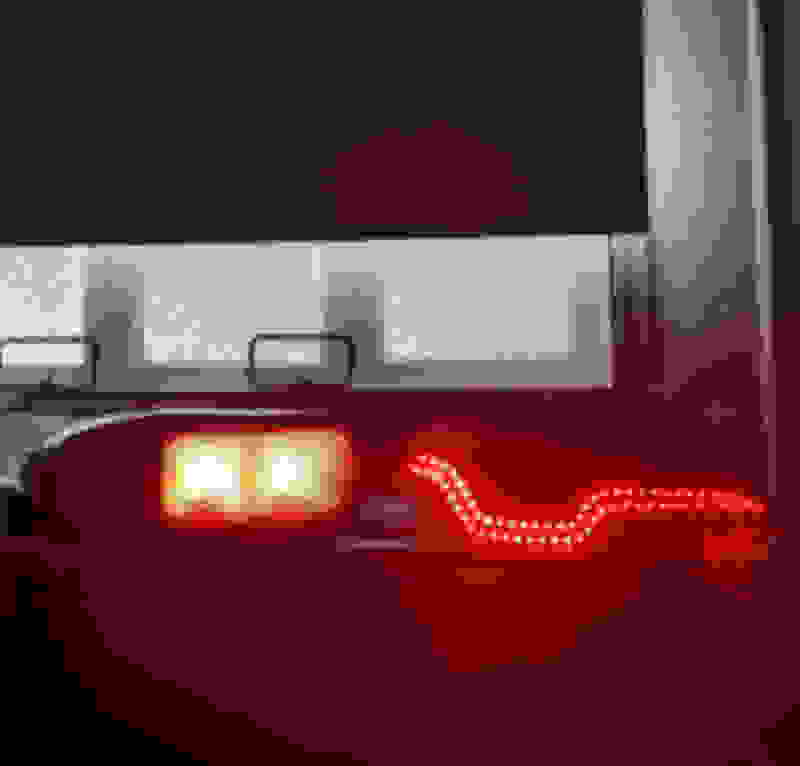 No way to know about the brake lights but if the OP is simply overdriving the parking LEDs to increase the light output, the design is trying to take 66 LEDs and turn it into the light output of 1,485 LEDs. And don't get me started on the viewing angle of the 5mm LEDs, meaning they lose quite a bit of light intensity very quickly as the viewing angle increases. Look at the pictures posted, compare each side and the viewing angle, and you will see what I mean. All LED designs do this, just the 5mm LEDs do it more than others. For example, the LEDs I used in my taillight conversion have a 130 degree viewing angle, compared to a range of 10-70 degrees for 5mm LEDs. You get my point. Simply, there is no way to use a 5mm LED design and arrive at an acceptable level of lighting for the taillights. This is why I have frowned on the Carshop Glow units as they are too dim and not safe. Sure, they look cool, but at what cost to the driver, or more importantly, the persons behind you? Each LED is capable of producing 100 lumens and they are only 0.14 inches in width and length. So, you could absolutely use something like this to achieve the effect in the OP design, while also meeting brake light output. The trick with these is that they are tiny and you'd have to be pretty advanced to put them into a design. Frankly, you could outsource this and have the process automated, including installing the wiring needed to drive whatever pattern you want. I used the film on the LED conversion I did on my center brake light and it turned out great. I'll end by saying I don't want to bash the OP and the design. I always applaud initiative and new designs for the FD. My issue here is with the safety of the lights and I hope the OP finds this useful. Hey, if the design could be improved to include proper light output and a diffused look, you'd have me signing up. Last edited by David Hayes; 02-07-19 at 01:54 PM. I agree with David Hayes regarding the LED package... the round through-hole ones can't dissipate much heat so it would be hard to find one bright enough. That said, don't use white LEDs under a red lens, that's a rookie mistake. White LEDs generate most wavelengths (including red, blue, green, yellow, etc) and the red lens will filter out all but the red wavelengths. You waste energy generating all those wavelengths that don't pass through the colored lens. Using red LEDs are the correct way to do it, bright ones are available in surface-mount packages. Has red or red-orange options available, and these run about 65 - 70 lumens. So, they would work well. I have found the red-orange LEDs to work best behind the red FE taillight lens. Cool-looking design. I hope the 5mm LEDs will survive long term in hot climates. Not saying they won't; just it is a tough environment for any LED. Here is a table showing the types of LEDs Lumileds recommends for rear lighting. Have a look at this Lumileds SnapLED. The Xtreme version is for use with a diffuser. ^ You are correct regarding white versus red LEDs. I should have thought about that as that is what I use in my taillights. I've seen your lighting research posted somewhere around here. It looked like you really did your homework, testing the output of the OEM lights and everything. I just wanted to make sure the red vs white LED thing was clear in case someone else might see the link to white LEDs and misunderstand. ^ Yep, did a lot of research and my own LED work over the past years, hence the testing results. You are correct about the red versus white issues - Don't use white LEDs in the red taillights. They will not work well. If you review the info posted by silversantos, Lumileds recommends the use of red-orange LEDs in the taillights. I too have found these to omit the best color in the FD taillight assemblies. David, posting on behalf of FD3S nation as they've made a new account and can't post yet. Hi David, we're glad to hear you love the design and want to thank you for your concerns on brightness levels. 5mm LEDs are certainly not the newest tech out there, but when used with quality parts they can achieve a bright appearance that will last a long time. Also, not every 5mm LED is the exact same accross the board. The LEDs we use are of high quality and not something you would bulk buy off eBay for cheap. They are reliable and very bright. Each red LED puts out nearly 10 lumens when brakes are applied. 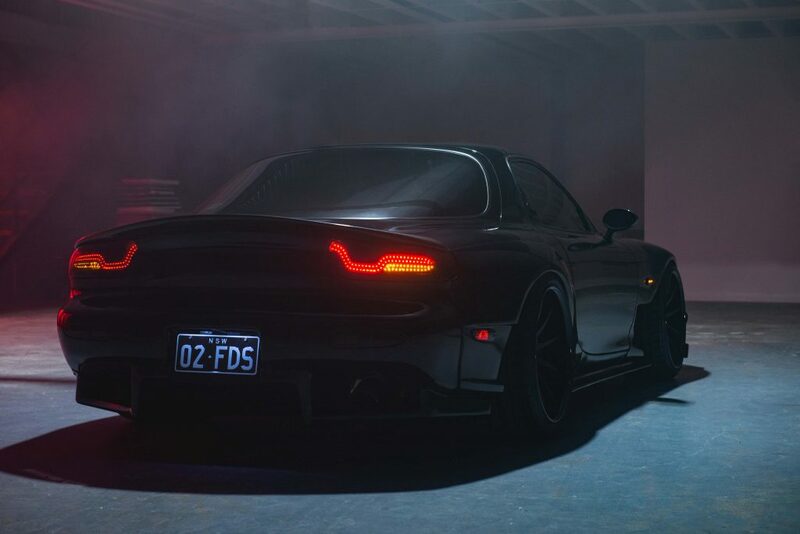 Adam's tail lights are actually a little bit dimmer than our production tail lights. His are the first prototype pair and during construction we used a different resistor value that makes them a little dimmer. On top of that in every photo you see he is not using the brakes. Also, we do spray a thin layer of tint on the inside to give it a sleek modern look but as Adam said you can choose to not have this done if you wish which will increase brightness a little bit if that's your main concern. We've also used these same leds on a Supra 3rd brake and the feedback we got was that they were almost "too bright" at night. We have a few photos of a factory tail light next to a Katana V1 panel to compare the brightness levels during braking and during night time running. 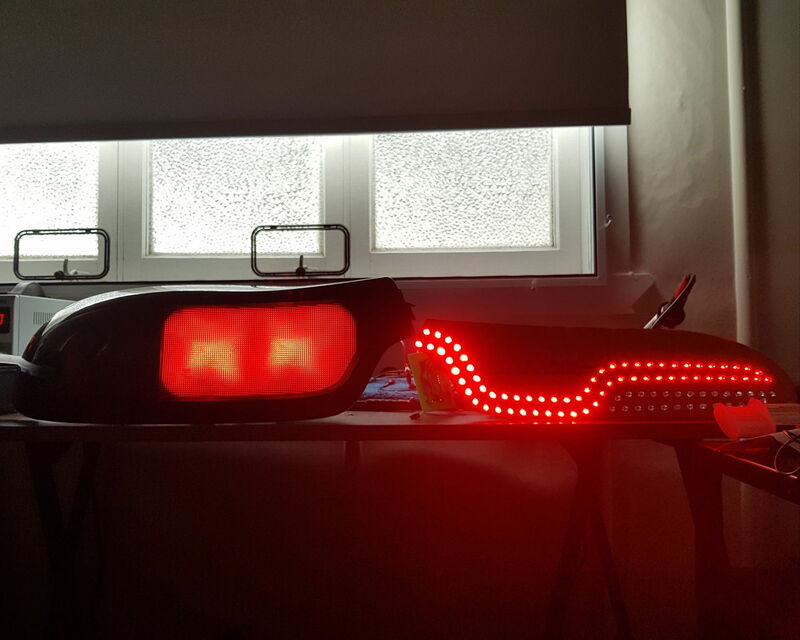 Since you can't capture true brightness in photos its hard to tell but as you can see, the hue around the leds is much more prominent and we can confirm that the leds are infact brighter than the stock unit. When changing the viewing angle the brightness levels are about the same as the stock units. As stated before, 5mm isn't the newest technology out there but it works for our application. Although these are not DOT approved we wouldn't sell something that we feel is unsafe. If you are going to sell these. Do an actual light output test and show the numbers. ^ Great minds think alike. It should be possible to find bright 5mm LEDs too, I think some traffic lights use them. I'm not in the market for aftermarket taillights, but still interested to hear test results for these.